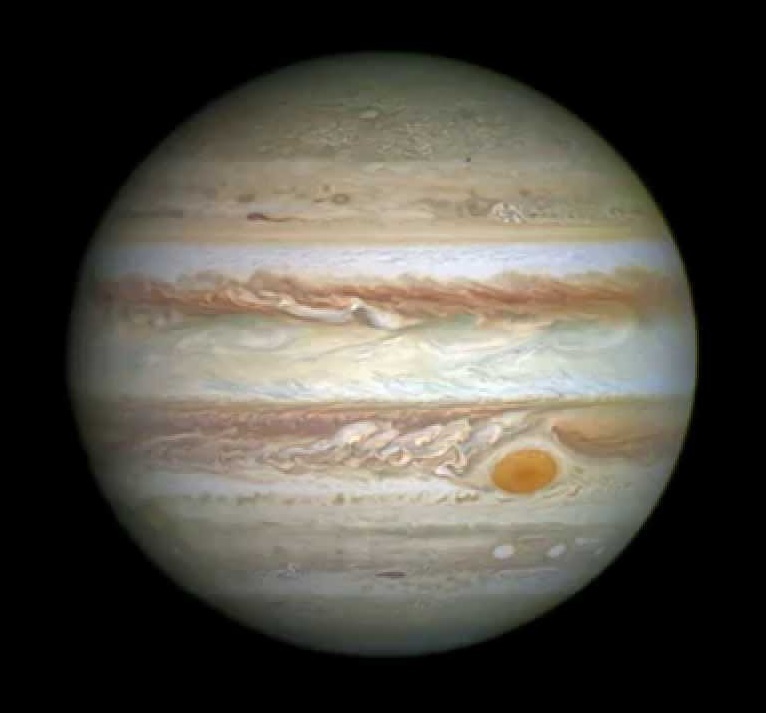 Jupiter, the fifth planet from the Sun, is also the largest in the Solar System. The Earth would fit inside the Great Red Spot. It is composed mostly of Hydrogen gas and has no solid surface that you could stand on. 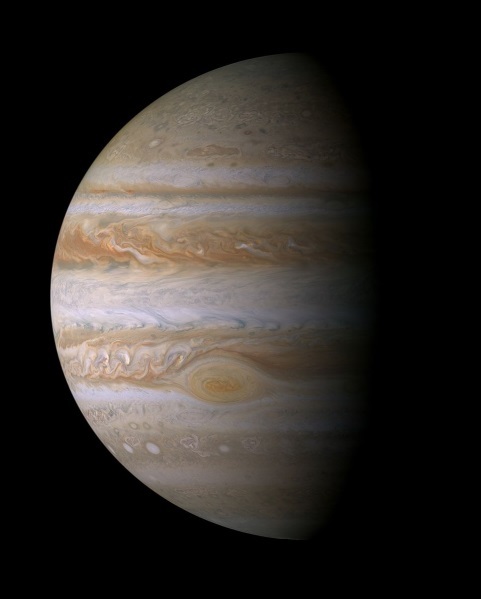 This is the most detailed global color portrait of Jupiter ever assembled. It is produced from several high resolution images taken a little more than a day before Cassini's closest approach to Jupiter. 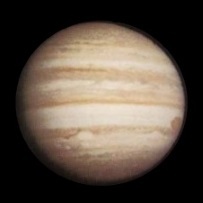 First close-up view of Jupiter from Voyager 2. First close-up view of Jupiter from Voyager 1 with moon IO passing in front. Pioneer 10 took this first ever fly-by closeup photo of Jupiter from a distance of 130,000 kilometers (just over half the distance from the earth to the moon). 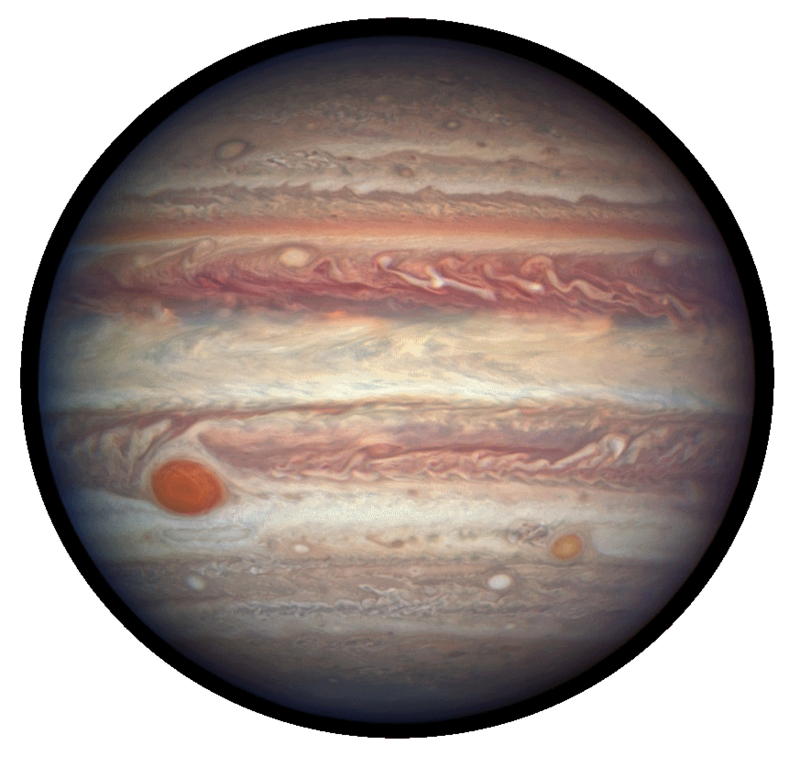 French astronomer brothers, Paul and Prosper Henry, were the first to photograph astronomical objects when they took this picture of Jupiter. This is one of the first successful images ever taken of a planet. 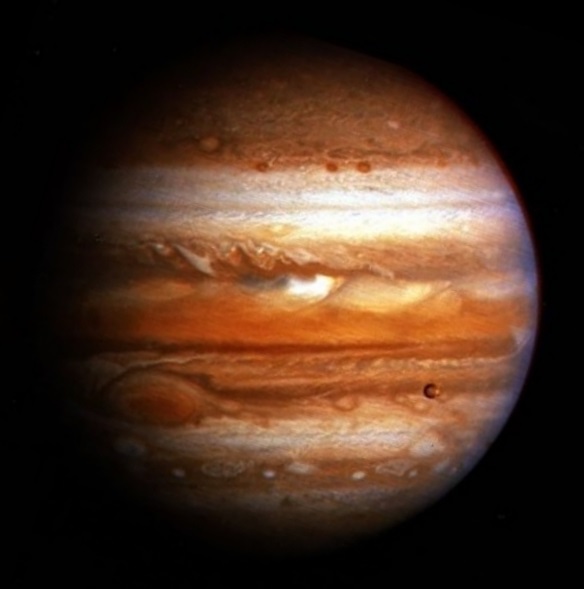 Italian scientist Galileo Galilei has discovered that Jupiter is seen as a disc with dimension when viewed through his new invention, the Telescope. Of course photography did not exist in the 1600's so the picture above is a modern day view through a small telescope that closely represents what Galileo would have seen. Jupiter is the big bright blob near the middle. This discovery led to the demise of the long held theory that the Earth was at the center of the universe and a new understanding that all the planets (including the Earth) orbit the Sun.